A three-part seminar series presented by three experts in esthetic periodontal surgery. First, David Garber, DMD, and Maurice Salama, DMD, clinicians/educators both trained in multiple dental disciplines, introduce current trends in esthetic soft tissue grafting, using both autogenous grafts and allografts. Later, Master Clinician and educator Edward P. Allen, DDS, PhD, will narrate the latest allograft technique (as discussed earlier) for treating multiple adjacent recession defects during a video of the actual surgery. Each of the steps are fully illustrated, including root preparation, instrumentation (including papillae preservation by surgical tunneling), and flap management. To discuss the current trends in esthetic soft tissue grafting, both autogenous grafts and allografts, such as how it can impact a practice by using it as a one-time full arch procedure. To know about innovative practice suggestions concerning esthetic soft tissue grafting procedures from experienced clinicians. 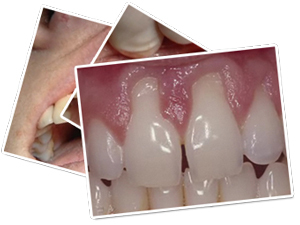 To view the latest allograft technique for treating multiple adjacent recession defects, while still preserving the inter-dental papillae by surgical tunneling. To understand each of the steps involved in soft tissue grafting, increasing the level of future esthetic surgical success. To perform the latest esthetic periodontal surgery techniques for root coverage by soft tissue grafting, using the most innovative methods and products available. In part 1 of this surgical instructional video series, Dr. Edward Pat Allen describes in great detail root preparation, instrumentation, and flap management techniques utilized in setting-up the root coverage of multiple adjacent recession defects. Emphasis is placed on papilla preservation through the use of a surgical tunneling technique. In part 2 of this instructional surgical video series, Dr. Edward Pat Allen describes in great detail the utilization of AlloDerm techniques in root coverage of multiple adjacent recession defects. In this section, emphasis is placed on shaping and sizing the AlloDerm as well as the micro-suturing techniques that optimize stabilization of the flap and the Alloderm.